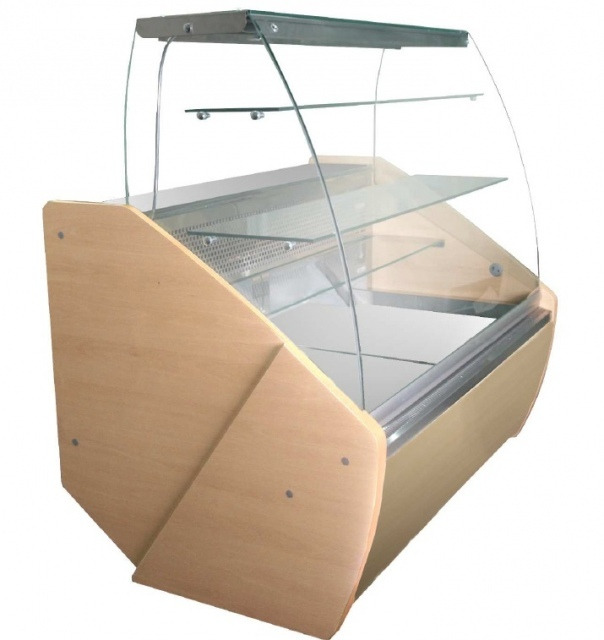 Confectionary counter with built-in unit, static cooling, automatic defrost, automatic evaporation of condensate, display area made of stainless steel, laminated worktop, night covers and adjustable legs. Sides and front panel available in CROMADEX colours, its standard. The basis is white (RAL 9003), other colour is option.The picture is illustration, the counter is available in CROMADEX colours.